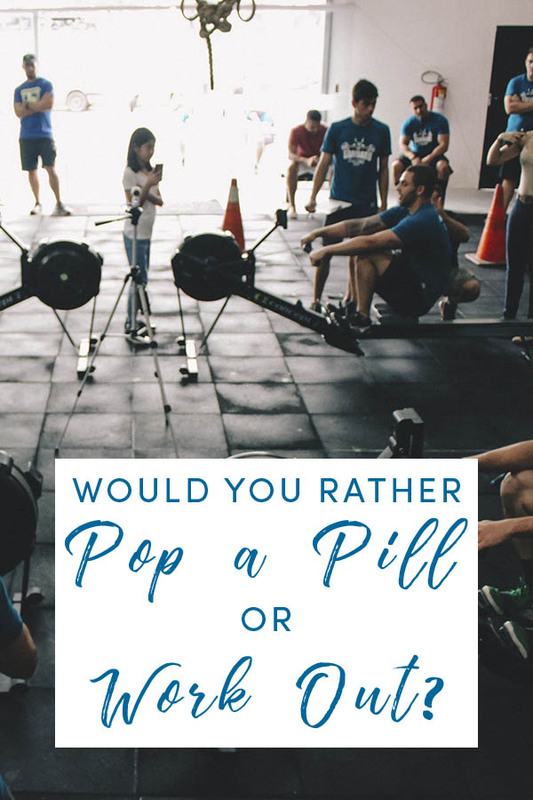 Care2 Healthy Living | Would You Rather Pop a Pill or Exercise? Would You Rather Pop a Pill or Exercise? Take a moment and ask yourself: would you actually start a new exercise regimen to stave off a specific disease? Or would you prefer to pop a pill every day? If we’re being truly honest, most of us would probably prefer the pill. Actually, according to research, the majority of Americans would prefer a pill, if it meant they didn’t have to exercise. And that is a real problem. According to an American Heart Association survey, which assessed what treatment people would most prefer for high blood pressure, participants were much more willing to take a pill or a tea as treatment over exercise. Participants were told that the treatments could add either one month, one year, or five years to their lives. The more years that the treatment offered, the more willing participants were to take it on. But, in all cases, people were more hesitant to add exercise into their lives. When offered one extra year of life, only 63 percent of participants said they would choose exercise as a treatment. In contrast, 78 and 79 percent would choose a pill or a tea, respectively. Even when offered five extra years of lifespan, participants were still clearly less enthusiastic about exercise as a treatment option. Exercise as a treatment was preferred over the fourth option: getting a shot. As someone with a lifelong case of needle phobia, I think that logic checks out. While this research was conducted in an effort to help doctors explain the long-term, real-life implications of starting a new high blood pressure treatment, it also highlights the lack of enthusiasm Americans have for physical activity. Why are so many of us so opposed to working out? Perhaps it’s the “go big or go home” mindset we have around exercise that causes so many of us to give up on it. Think about it: you either know people who work out religiously, or you know people who don’t work out at all. Those who have a healthy, moderate relationship with exercise are in the minority. But you don’t need a gym membership to be reasonably active. People who live in Blue Zones – areas of the world where humans experience the greatest longevity — tend to have a very balanced relationship with fitness. For them, it’s all about moving naturally. They go for long walks, they don’t sit too much, they ride bikes to go places, or they play enjoyable sports with friends. It’s fun, it’s easy, and it is integrated into their lifestyles. The American habit of hyper-intense fad exercising is not doing our health or our longevity any favors. Exercise does not always have to mean intensive sports training that leaves you sore and utterly depleted. It can be as simple as walking, gardening, gentle hiking, or yoga. Just get out of your uber-comfort zone, do more things manually, and allow yourself to move in your day to day. It’s not difficult. When you widen your perspective as to what exercise can be, you’ll find it a lot easier to incorporate into your life. No pills necessary. Now it’s your turn. 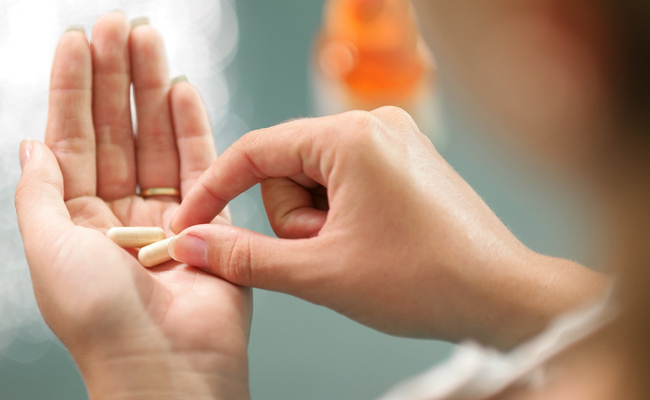 Would you rather pop a pill or exercise? Share your response in the comments section below! I would opt for the pill and exercise. I like to exercise always have but a pill to help keep the weight off wouldn't bother me either. I would go for the pill. Back in 1993, I moved into an apartment complex in a neighborhood that was served by 3 bus routes. The closest had a stop right at the entrance to the complex. Sometimes I would go home by the bus that went by that stop, but in most cases that wouldn't work because that was a very limited, circular route. There was another bus that was about a 5-minute walk from the complex, which I used to use sometimes, but not as much as the the major route that was about 20 minutes' walk away from the complex. In the beginning, the 20-minute walk didn't seem like more of a challenge than the 5-minute walk. By the time I left in 1996, I could really feel the difference. I was getting as much exercise in 1996 as in 1993, but my health declined anyway.